1. 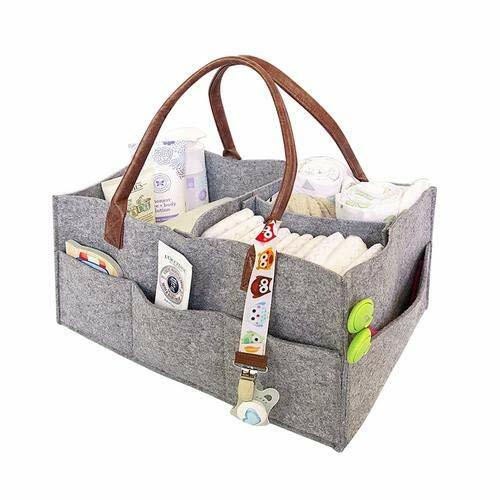 Our large baby nursery storage tote is built with high quality felt fabric, soft touch edge and highest standard you would expect, including removable organizing inserts so that you can keep all diapering essentials (diapers, wipes, clothes, lotions, toys, bibs, onesies, changing pads, etc.) organized in one place. 2. 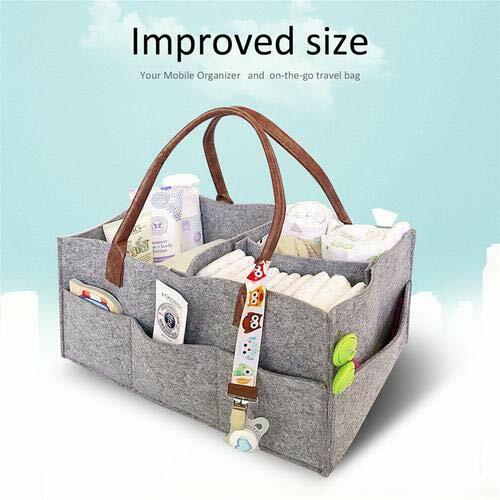 NEWLY DESIGNED LARGE PORTABLE BAG - Perfectly sized at 33 x 22 x 18cm / 12.99 * 8.66 * 7.09in, it is durable and lightweight. 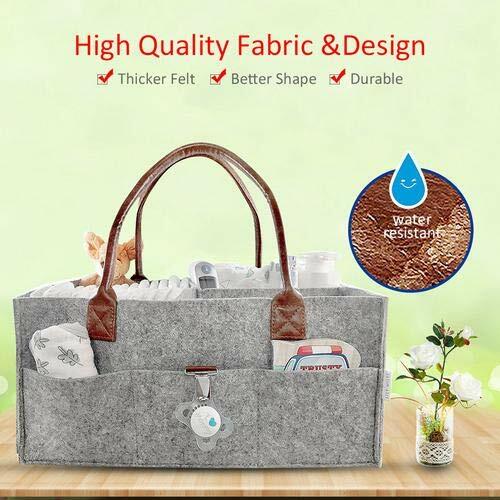 It features neutral gray trend color with durable and water-resistant brown PU leather handle that is very comfortable and perfect for adults to carry any infant diapering essentials for boys and girls. 3. 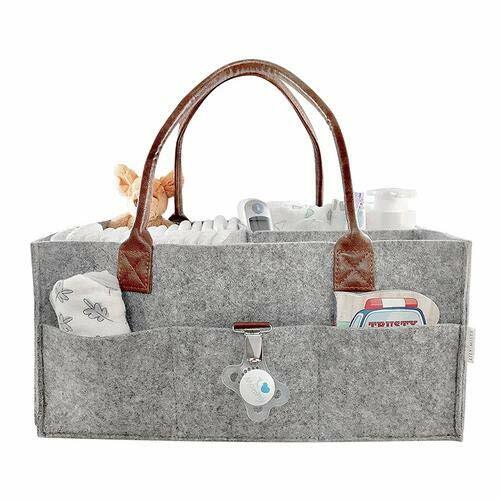 Easily store all of your breast pump and breast pump parts, use as a car organizer or place bedside to make things easier to find during those late night feedings. 5. 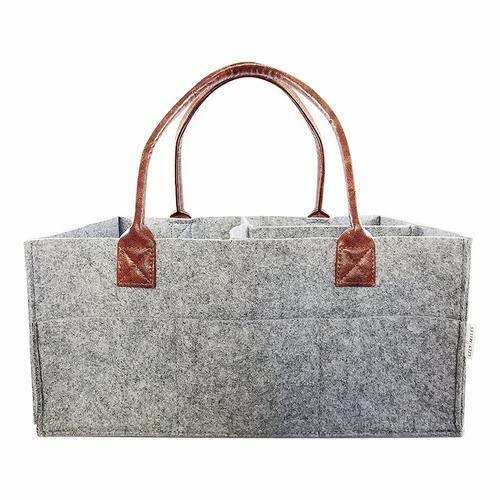 Dimensions: Length x Width x Height : 39 x 26 x 17cm / 15 x 10 x 7 inch with 8 outside pockets, large capacity. dozens of diapers and most wipes dispensers.